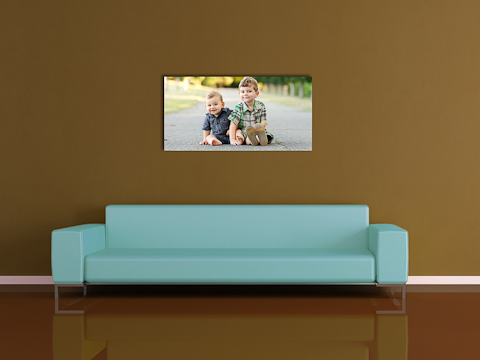 The Couch Display Template is extremely versatile. 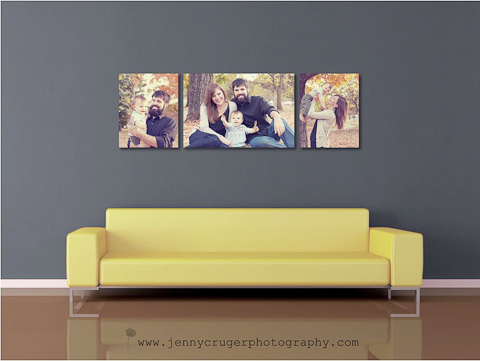 With a click of a mouse you can choose from one of four couches; the antique, modern white, Julia or “Chameleon Couch”. 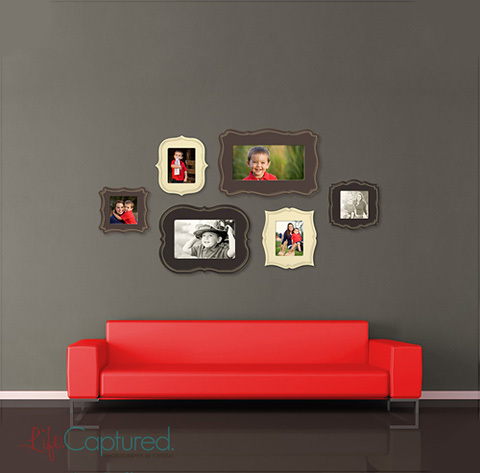 All of the backgrounds have adjustment layer that lets you change the couch color, and most let you change the wall, floor AND couch colors – match your clients images, your branding or even your client’s home decor! 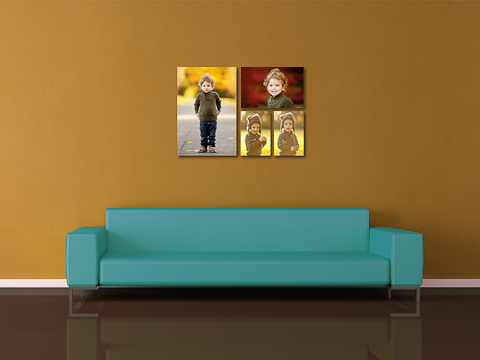 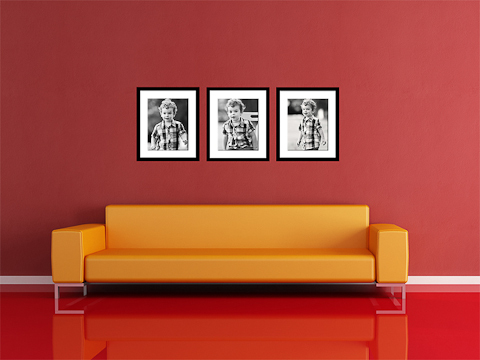 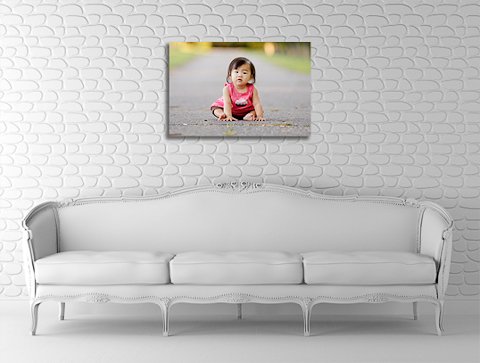 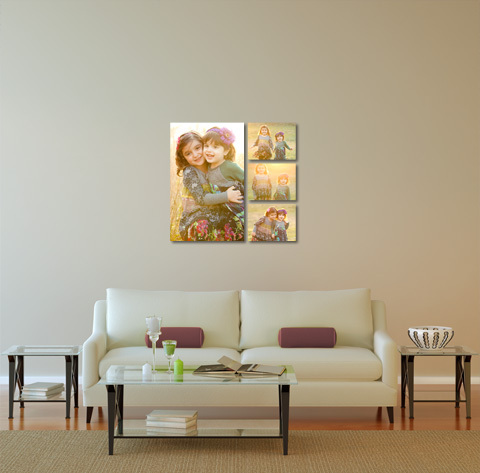 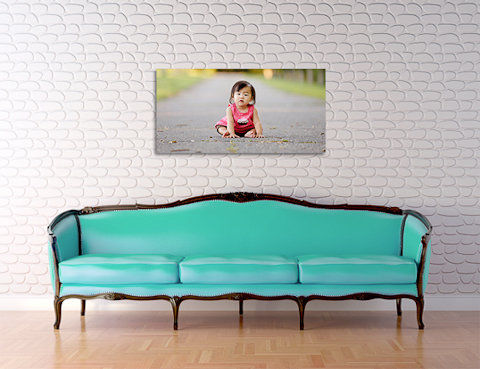 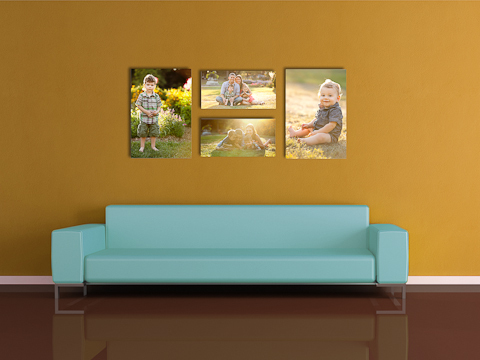 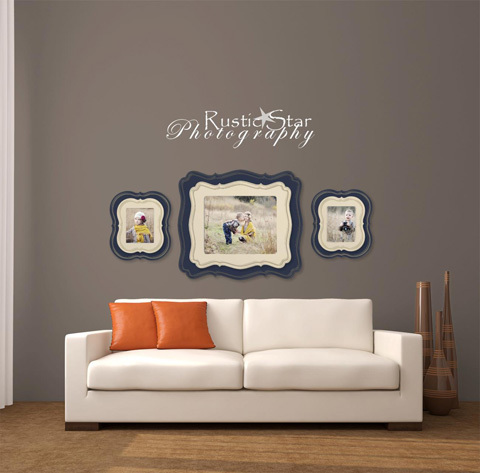 Create a page on your website or blog showing the difference in impact between an 8×10 and a 30×40 in a REAL ROOM! 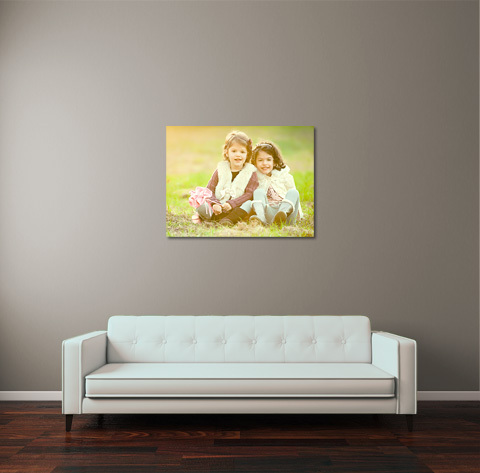 Show the difference in terms of ratio and cropping that an 8×10 vs an 11×14 has on the same image. 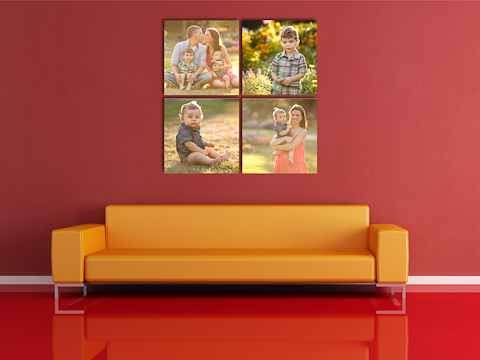 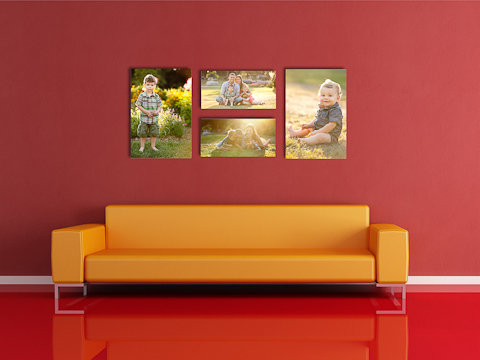 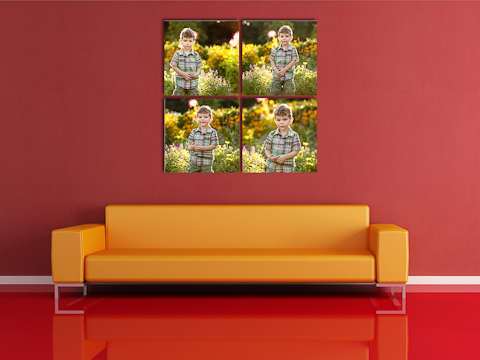 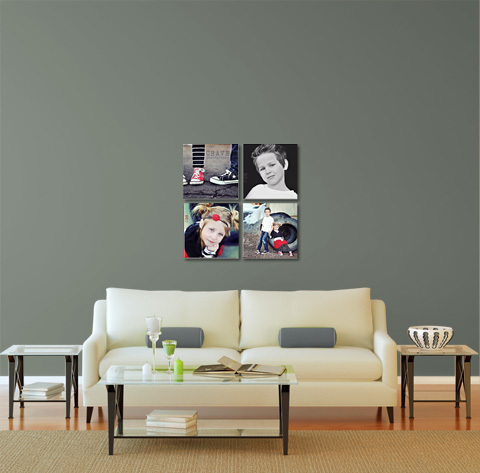 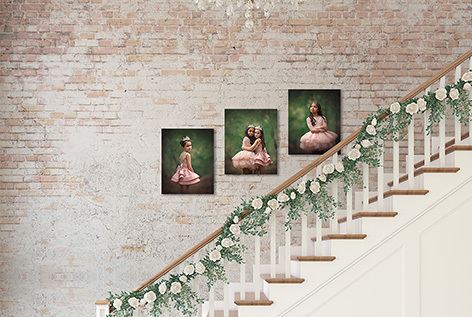 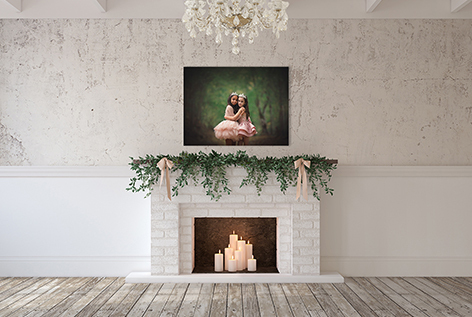 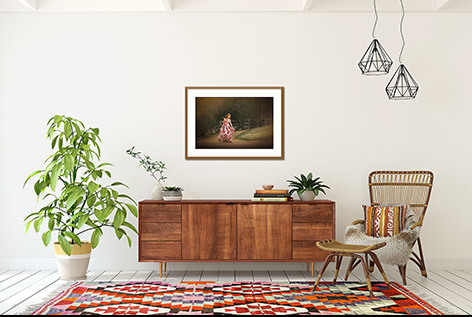 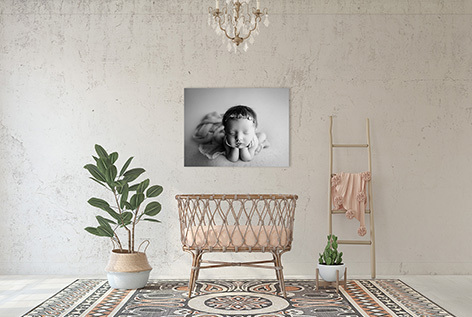 Use before ordering prints and canvases to help decide on exact arrangement and crops for your piece of mind and/or to show client for approval.